What's better than a single LED? Lots of LEDs! 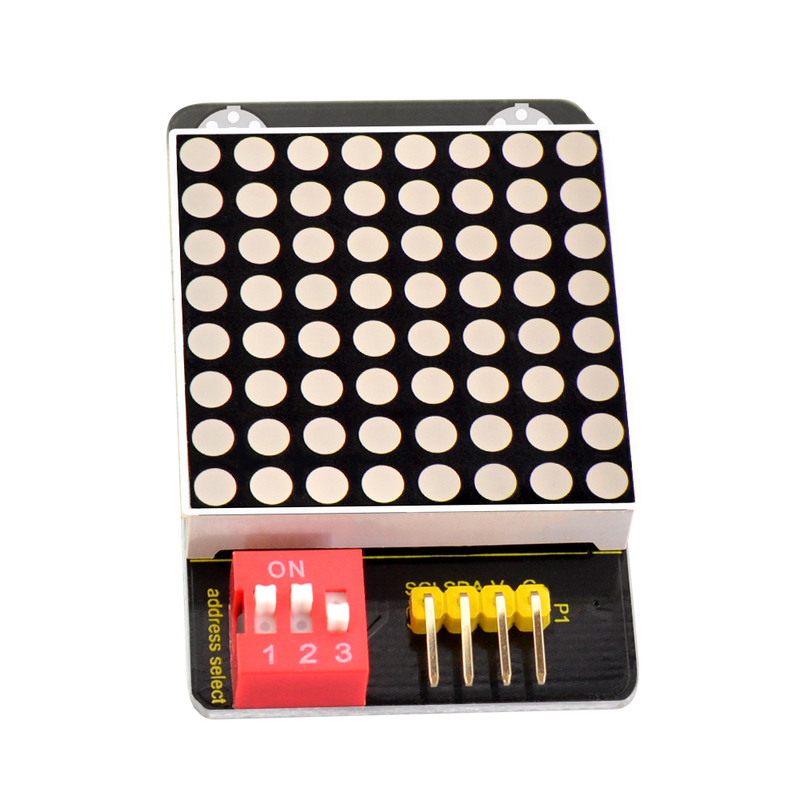 A fun way to make a small display is to use an 8x8 matrix. 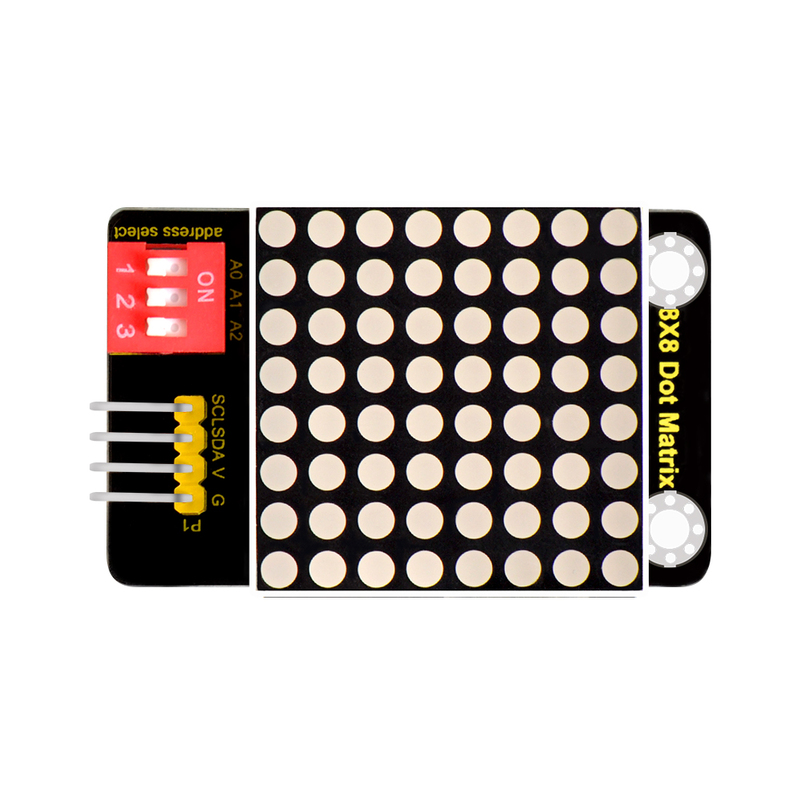 This module uses HT16K33 chip to drive an 8x8 dot matrix. 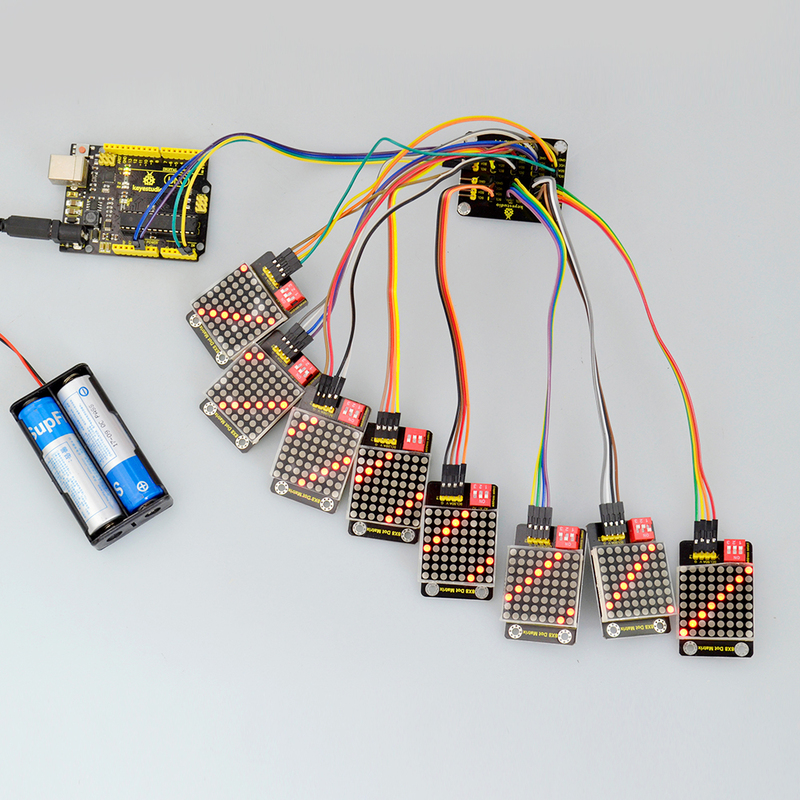 Just need to use the I2C communication port of microcontroller to control the dot matrix, which can save more port resources of microcontroller. 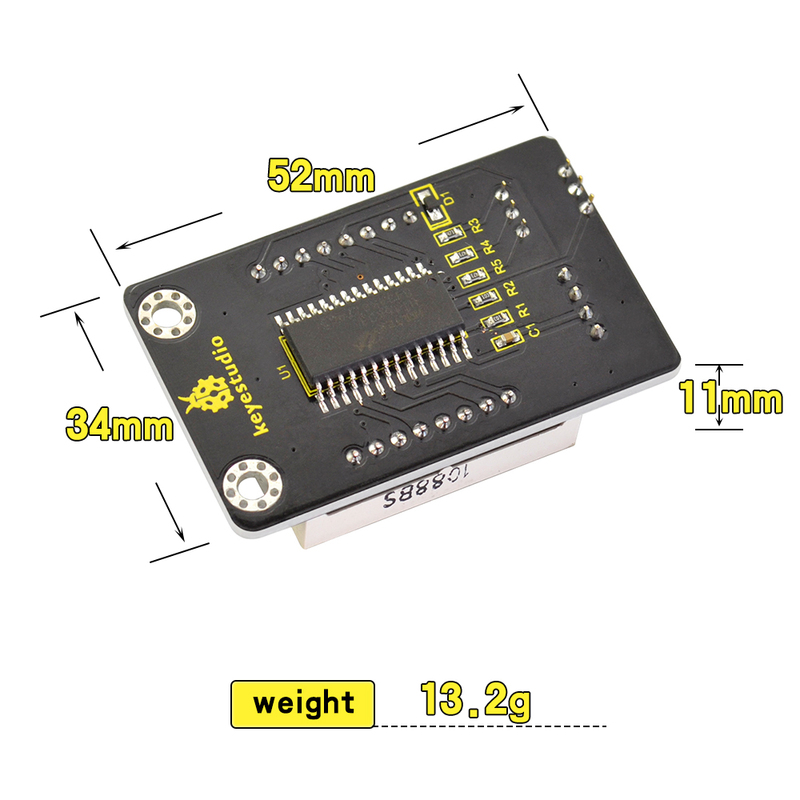 The matrix module comes with a 4Pin header of 2.54mm pin pitch. 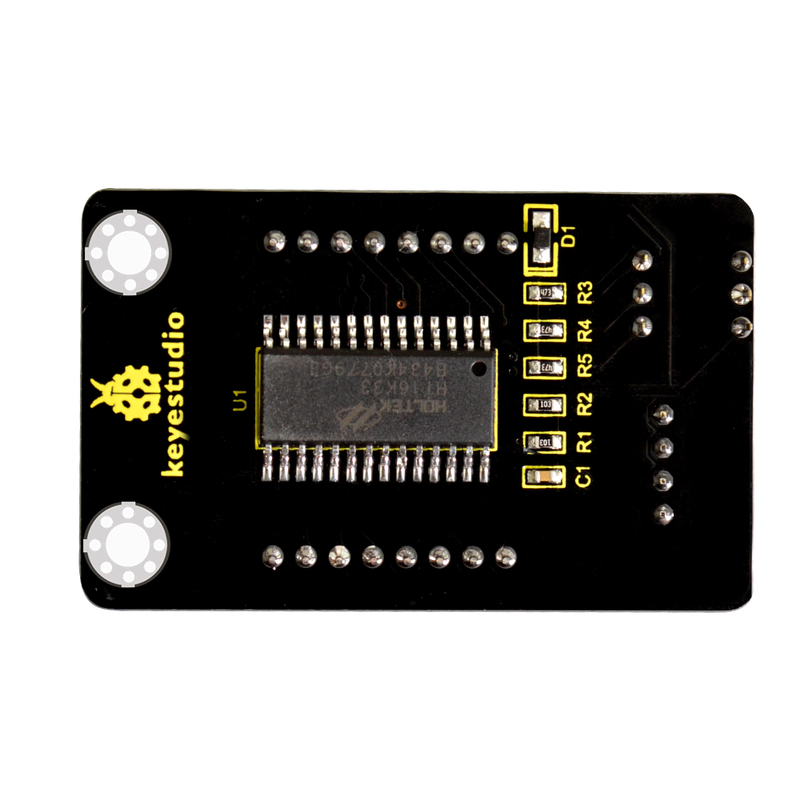 You can connect the module to control board for communication using jumper wires. Besides, it comes with three DIP switches. You can randomly toggle the switch to select the I2C communication address.